Few aircraft are more historically significant than the Hawker Hurricane. 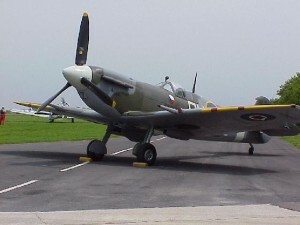 Although it has been slightly overshadowed in the public imagination by the Supermarine Spitfire – partly because contemporary WWII propaganda urged the British public to invest in Spitfire production, partly because the Hurricane was not represented in the post-war victory flypast, and partly because the undeniably beautiful Spitfire was always perceived as more glamorous – it was the Hurricane that actually won the Battle of Britain. Legendary test pilot Eric ‘Winkle’ Brown said of the aircraft: ‘It literally saved the country’. Indeed in the military circumstances of 1940, the Hurricane could be said to have saved the world. 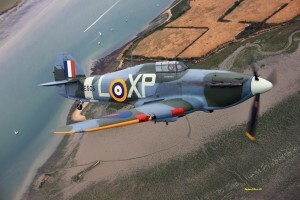 In total, 14,583 Hurricanes were built, compared to 22,000 Spitfires. However, in the Battle of Britain the Hurricane was the mainstay of RAF Fighter Command and downed many more enemy aircraft – 656 to 529. Indeed it was more successful than all other air and ground defences combined. Great Hurricane pilots included Douglas Bader, Eric Nicolson VC and Czech Josef František of 303 Squadron, the highest-scoring Allied ace of the Battle of Britain, who shot down at least 17 aircraft in September 1940 alone. 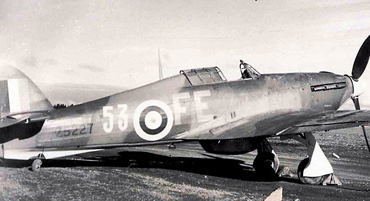 Today, the Hurricane is rare, with just 15 airworthy examples in the world. Fewer than five more are likely to be restored in the next 10 years. 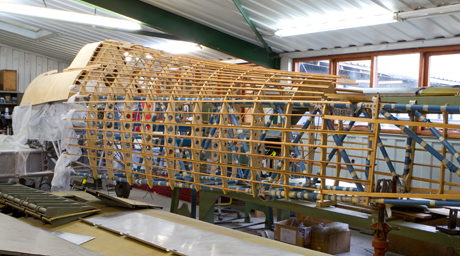 Meanwhile there are about 45 Spitfires flying, with another 25 under restoration. Ironically, as the Hurricane is also the more complex of the two and requires far greater skills and resources to restore, it costs significantly less than a Spitfire. It takes some 26,000-29,000 hours to return a Hurricane to airworthy condition, at a cost of approximately £2m. It is interesting to compare that to the cost of relatively ordinary historic racing cars, let alone iconic machines such as the Ferrari GTO, now valued in excess of £20m. What’s more, flying a Hurricane remains an achievable dream. The average WWII pilot had 200 hours flight experience before going into combat. With appropriate instruction, a competent Private Pilot Licence holder should be able fly a Hurricane within 50-60 hours.